This part of the story will have fewer relevant photos for two reasons. 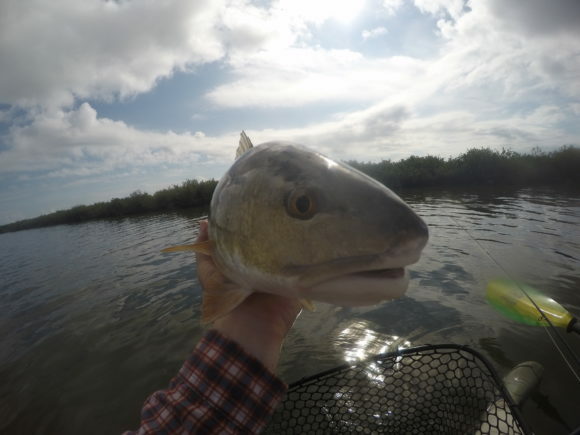 Firstly, my GoPro battery died, because that seems to be the alternative purpose of the GoPro and the second reason is we missed the shot of the hand-caught redfish. 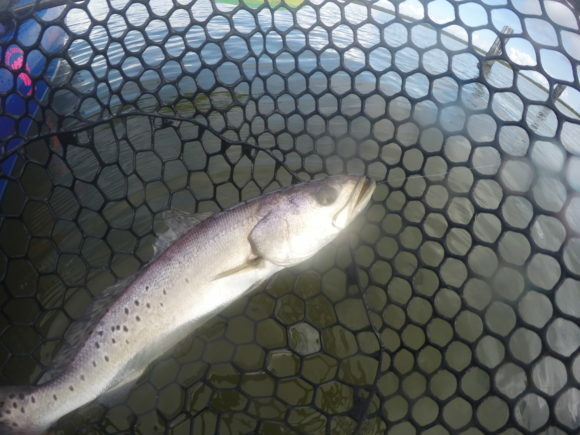 James and I were paddling into some really skinny water and finding fish to cast at. Sometimes their backs were out of the water, sometimes they’d just disappear, which seemed impossible given how shallow this water was. James had just pulled up along side me and was saying something like “You wouldn’t believe how shallow these fish get.” when it all went down. As he came up to me, his kayak effectively blocked the outlet of a very small branch of the bayou. 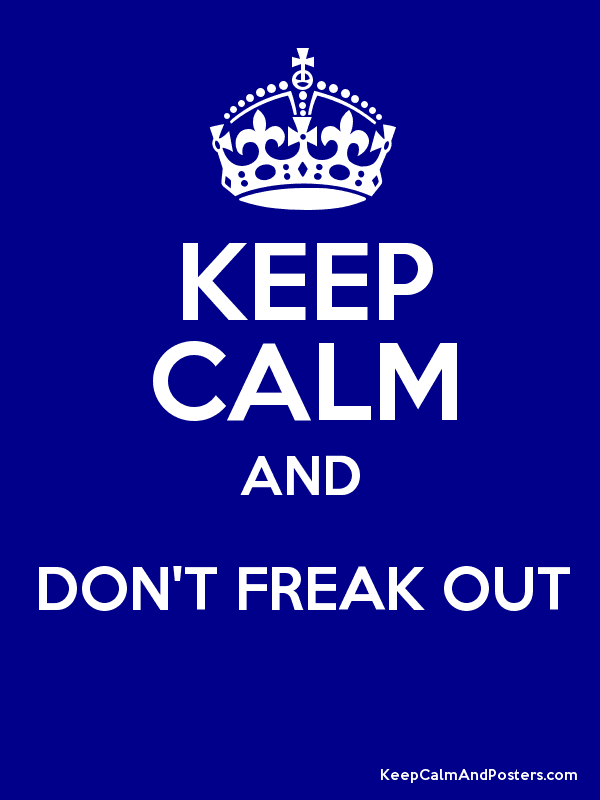 A redfish was sealed off and kind of freaked out. It tried to charge past James’ kayak and you could hear the slap-slap-slap of the tail against his kayak but we were too shallow to get under it and it was too long to get past. The thing was just trapped. James reached down and just picked up a decent sized red. There was a fair bit of laughter at this, but before I could get the camera on, the fish flopped out of his hands and was on his way. I ended up picking up a couple more fish, which was great. 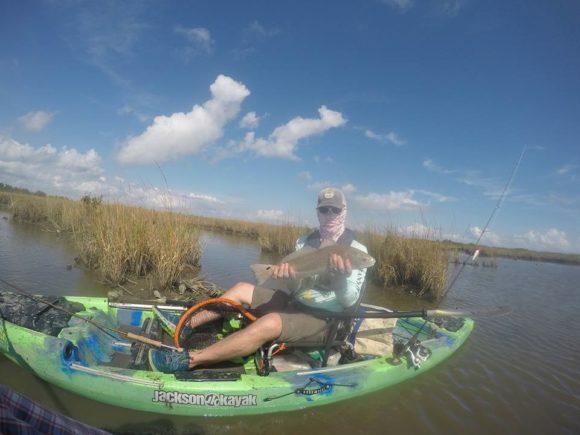 I picked up my first redfish on a top-water fly. At some point we had turned back around and were heading back toward the water we had started on and I went back to the little cut where I had seen the giant bull red. In that pocket I found more redfish and I put on a fly that is part shrimp, part Gurgler. I wasn’t really sure what speed or action to put on it, but I figured it should be shrimp-ish, whatever that is. I saw the red follow on the fly and then he opened his gullet and tried to eat it. He missed or I got over-eager and pulled it away. Either way, I missed the first eat. Further down the cut I saw water moving around and I cast again. I made a cast and was retrieving when something distracted me. I looked away, but heard the take, and came fast to my second red. It was a decent fish, unrecorded for posterity due to my now dead batteries in the GoPro. I later picked up one more red, in the same cut, but on a Kwan (which may actually be the first fish I’ve ever caught on that particular patter as I just don’t tie or fish many of them). By the time we got back to our starting place the current was ripping back in and the wind had picked up slightly (so, from 1 mp to maybe 5 or 6 mph). 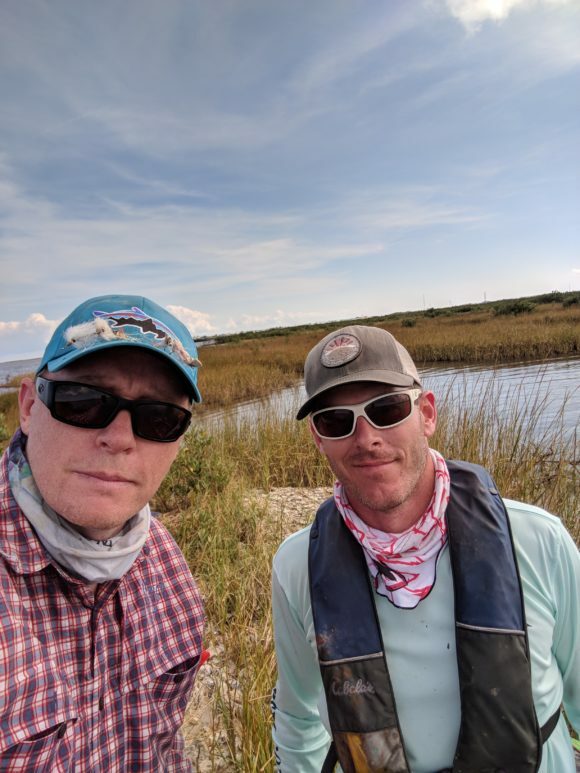 James and I wound our way through some more skinny water on our way back out, but the light was getting harder and the water muddier and I didn’t get another fish. I ended up with three redfish and one trout for the day and James ended up with 7 reds to and and one BY hand. That’s some Jedi level stuff there. The paddle back to the launch was not too bad, despite the current and the light wind. I got back first and got some beer for the guys. I subsequently left the beer at the launch, thus donating to the fishing gods. We loaded up the trucks and headed back to the house, avoiding the speed traps and thus refusing to contribute penalties to the local economy. It was only one day of fishing in the marshes of Louisiana, but it was a good one. 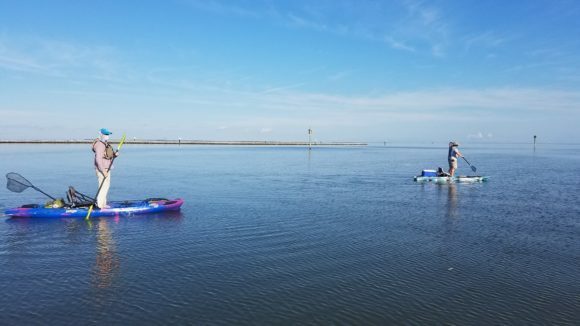 I learned I can, in fact, stand up in a kayak and get it done. It was a great experience. 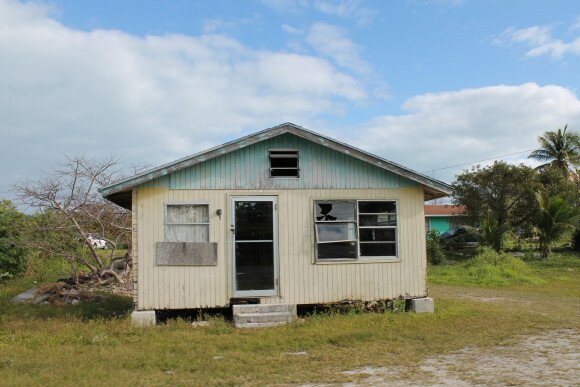 My recent Abaco adventures involved two very (VERY) different parts. 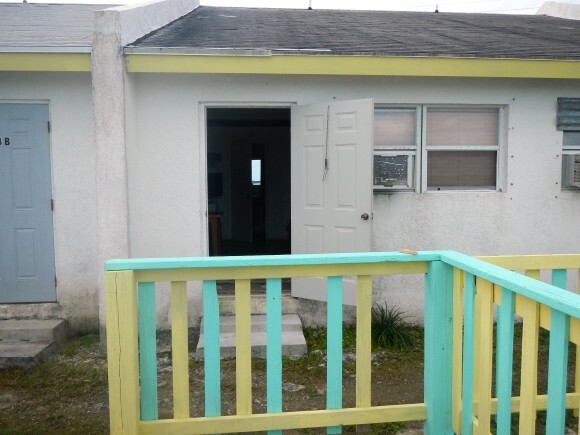 Part One – Abaco Lodge. This place is legendary and for good reason. It is a fishing lodge in the best tradition. 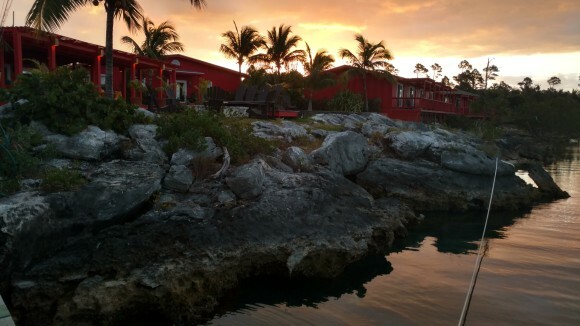 The iconic red buildings greet every angler on the way back in after seeing what the Marls have had to offer (which, generally, is a huge number of bonefish). The meals are chef prepared and delicious. The rooms are comfortable, clean and resort-like. The staff, including new managers Matt and Valeska, are warm, welcoming and strive to give you the best stay possible. The guides are knowledgeable, most with over a decade of guiding experience. The boats are Hell’s Bay and ride smooth and float skinny. 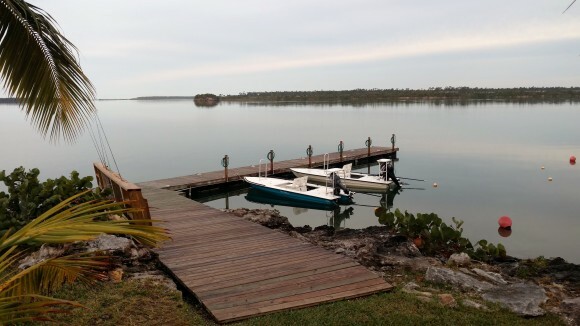 The dock even had dock lights and a resident swarm of grey snapper (and a few visiting bonefish). It draws anglers, real anglers, and you are likely to hear stories about Montauk, the Seychelles, Cuba and Yellowstone over drinks or dinner or drinks after dinner. The place is just pure class. I’d go back… I’d go back right this minute if it wouldn’t mean losing my job and getting a divorce (I love my wife and enjoy my job, so that would seem to be counter-productive). It is the kind of place that stays with you. 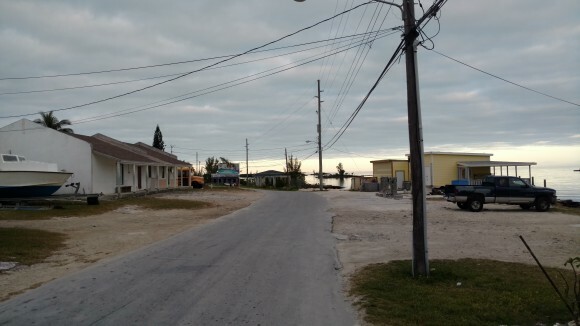 We called this “The Real Bahamas.” We stayed at a small motel/guesthouse in a small fishing village (I’m not going to hotspot it for you). Everything in the town was owned by the same man and everyone seemed to work for him in some way or another. The room was simple, if a bit rough. The bathroom had a notable ant problem, but maybe that is what the lizard was there for. There were cockroaches at night if you were foolish enough to turn on the lights when you had to go pee. There was almost no discernible water pressure in the shower. There was trash all over the place, including in the water right below the room. 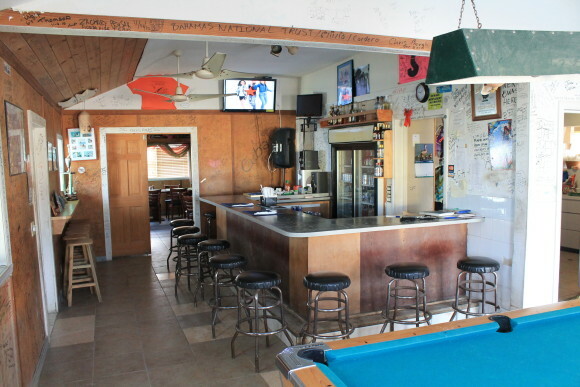 The restaurant/bar (owned by the same guy) sold hard booze in pints that could be collected on the street the next morning drained of their soul crushing nectar. There was often loud shouting from up or down the street. Men carried sticks with them, I think to beat back the potcakes when they got too aggressive. We had six people tell us they were fishing guides and that we could hire them to take us out for $150 a day. No one had a boat though, or much of an idea about fly fishing. 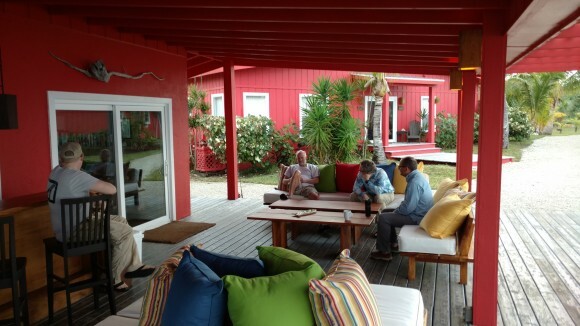 The first comparisons to life at Abaco Lodge were a bit jarring, to say the least. Still, there was more about this little fishing village than cosmetics. Life seemed, and certainly was, hard. The sea provided what livelihood there was to be had. When the weather was good, there was fishing to be done, even on Sundays. Everyone seemed to help with everything. People got us ice or water or beer in the morning and I have no idea how they were connected to us or the owner, they just helped out. Everyone, even the most sour looking locals, said good morning to us, most of them even reaching out a hand and introducing themselves. 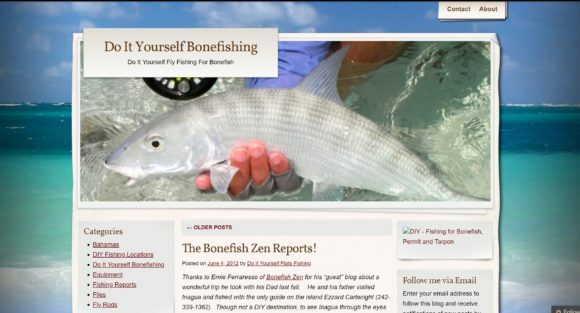 Everyone shared their best ideas about where we should look for bonefish. 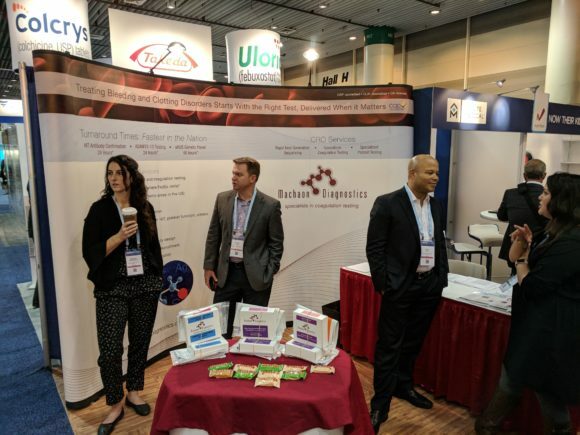 Everyone was happy for our business and some even had business opportunities. We brought school supplies for a local elementary school and got to meet some of the kids, who were drilled and trained to a T when asked “How are you doing today?” It was equal parts inspiring and terrifying. The “Real Bahamas” was something I’m glad I got to see. You don’t see much of that with the Lodge experience. It is good to get out and talk to people and see how they live, see what their challenges are, as well as their joys. I got a real sense of the positives and negatives of life in the Out Islands here on this trip. I have a new found respect for these people making a hard life in a beautiful place and pitching in to help their neighbors. That’s one of the things the DIY route offers, the chance to get a little closer to the people there in the place you are fishing, to see what life is actually like. It is hard to beat the lodge experience for pure angling, for the comfort of it, for the ease of it, the quality guides, good night’s sleep and when you just want a solid vacation. 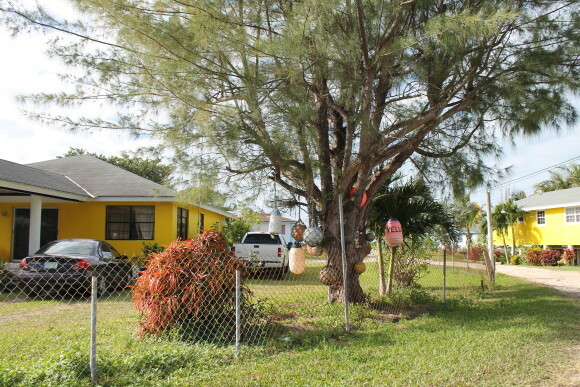 If you want to put a little cultural understanding in your next trip, consider a day or two out in the “Real Bahamas” as well. 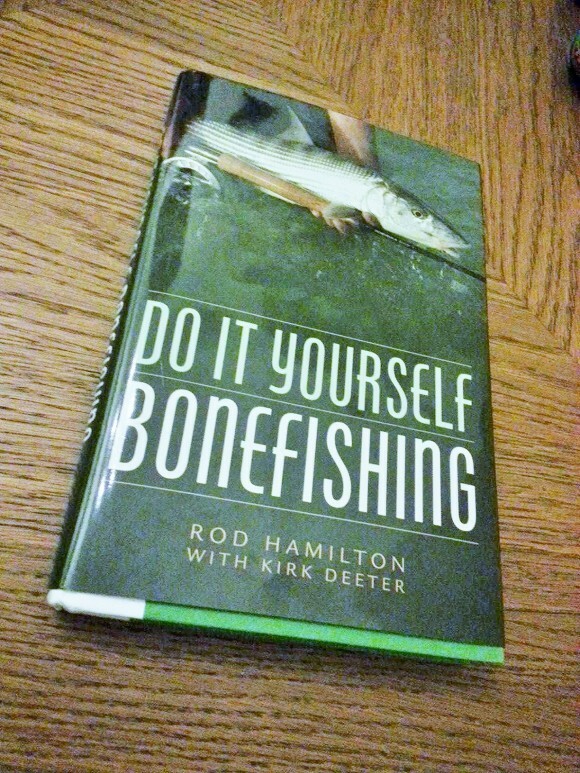 I recently received a nice package in the mail containing the book “Do It Yourself Bonefishing,” by Rod Hamilton (with Kirk Deeter). I spent some time with it last night and I have to say, I wish I had this with me on a few previous trips to the Bahamas. The risk, with this kind of book, is that the locations listed will get more traffic. 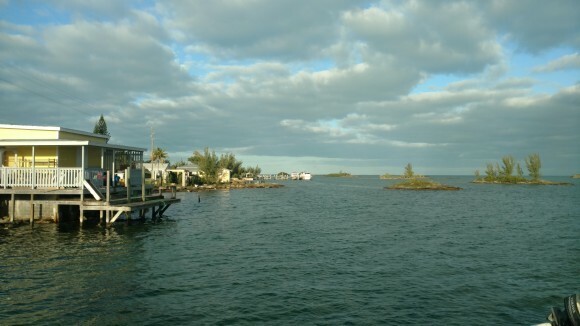 The more traffic a bonefish flat gets, the worse the fishing. 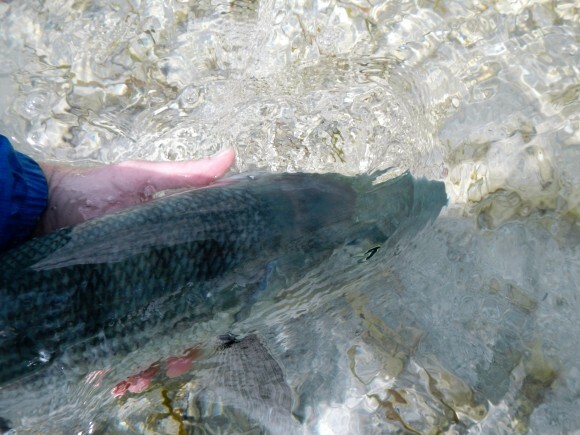 Bonefish visit the same flats relentlessly and if you teach one school of fish not to eat a Gotcha, that same school will remember it for the next angler… and the next angler… and the next. The alternate view one could choose to adopt would be that by alerting the DIY set to the truly large number of possibilities, the few hardest hit flats might see less pressure. 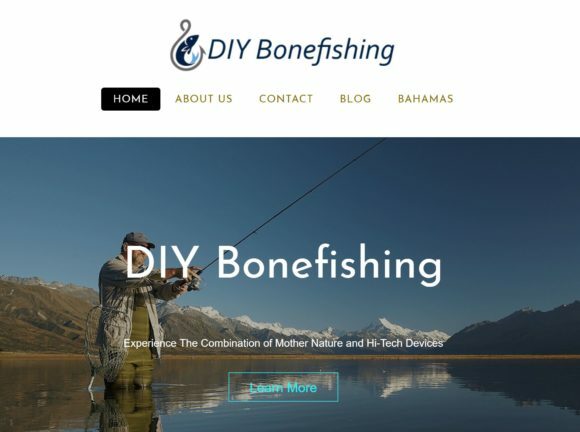 I also have to consider that really, there aren’t too many of us out there looking for a DIY bonefishing flat. 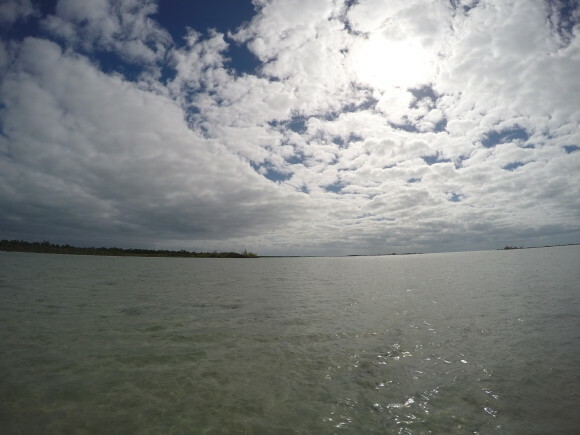 It may seem like there are, but I think there are a far greater number of anglers who hope to take such trips than number of anglers who have wet their toes in pursuit of bonefish, on their own, in these far flung locations. So, I say again that I wish I had this book prior to my earlier Bahamian DIY efforts. It would have helped a lot. The book is full of information and even gives cautionary tales when needed. 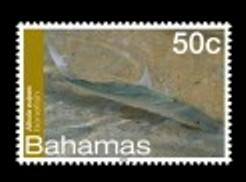 I’d say it is a must-have if you plan to visit the Caribbean on your own, on foot, in pursuit of bonefish. Just a little reminder… the more you fish a spot, the worse it is going to fish. If you find fish one day on one flat, don’t go back. Find a new spot. Explore. Expand. It’s the only way to keep the good spots good.